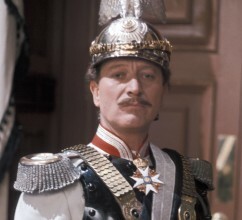 Fall of Eagles is the BBC's stunning 1974 dramatisation of the declining years and final collapse of three of the most powerful European dynasties – the Hapsburgs, Romanovs and Hohenzollerns – between the mid-19th century and the end of the First World War. 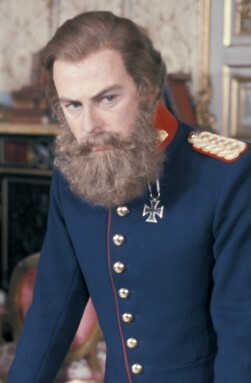 The series focuses on the tempestuous reigns of Emperor Franz Josef of Austria-Hungary (Laurence Naismith), Tsar Nicholas II of Russia (Charles Kay - below) and Kaiser Wilhelm II of Germany (Barry Foster - below). 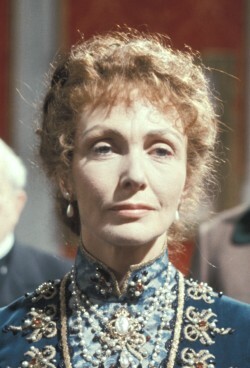 Other key players include Tsarina Alexandra (Gayle Hunnicutt - below), Lenin (Patrick Stewart), Princess Vicky (Gemma Jones) and Fritz (Denis Lill). 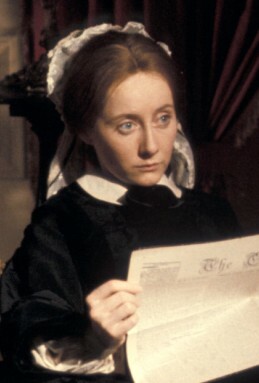 The series was released by DD Home Entertainment on DVD and VHS in Autumn 2004. The 4-disc DVD boxset includes exclusive new interviews with Gayle Hunnicutt (The Golden Bowl, Dallas, The Martian Chronicles), Charles Kay (Edge of Darkness, To Serve Them All My Days) and director David Cunliffe (The Onedin Line, The Sandbaggers, Victoria and Albert), a 40-page historical companion booklet written by Andy Priestner and a photo gallery. The series was created and co-written by John Elliot (A for Andromeda, Mogul/The Troubleshooters). Other contributors include: writers Jack Pulman (I Claudius, War and Peace, Private Schultz) and Troy Kennedy Martin (Edge of Darkness, The Italian Job); and director Rudolph Cartier (1984, The Quatermass Experiment and its sequels). Other cast members include: Michael Aldridge, Colin Baker, Isla Blair, Michael Bryant, Maurice Denham, Curt Jurgens, Paul Eddington, Lynn Farleigh, Derek Francis, Jan Francis, Marius Goring, Charles Gray, Rachel Gurney, Ursula Howells, Freddie Jones, Diane Keen, Michael Kitchen, Frank Middlemass, John Rhys-Davies, Michael Sheard and Peter Vaughan. Where can I buy Fall of Eagles? The Region 2 DVD and Video boxset retails around £39.99 and as with all DD Home Entertainment titles are available in large high street stores in the UK such as HMV and Virgin and from most online retailers such as Amazon and Play. Both Amazon and Play will sell to countries outside the UK. A forum dedicated to discussion of Fall of Eagles is now available on Chris Herbert's TV Gold site. Pictures on this page: Alexandra (Gayle Hunnicutt) and Tsar Nicholas II (Charles Kay); Kaiser Wilhelm II (Barry Foster); Lenin (Patrick Stewart) and Krupskaya (Lynn Farleigh); Empress Elisabeth (Rachel Gurney); Princess Vicky (Gemma Jones); and Fritz (Denis Lill).